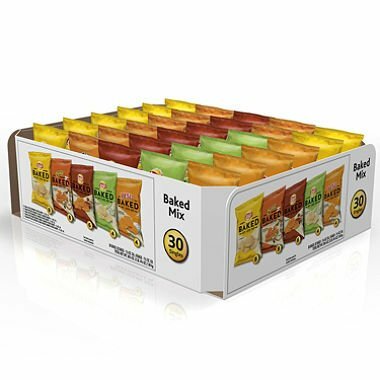 Fun variety of baked, popped snacks makes this a smart mix. Contains the same great taste and crunch you've come to love. A great alternative for kids' lunch boxes and snacktime. Fun variety of baked, popped snacks makes this a smart mix. Contains the same great taste and crunch you've come to love. A great alternative for kids' lunch boxes and snacktime. If you have any questions about this product by Frito Lay, contact us by completing and submitting the form below. If you are looking for a specif part number, please include it with your message.